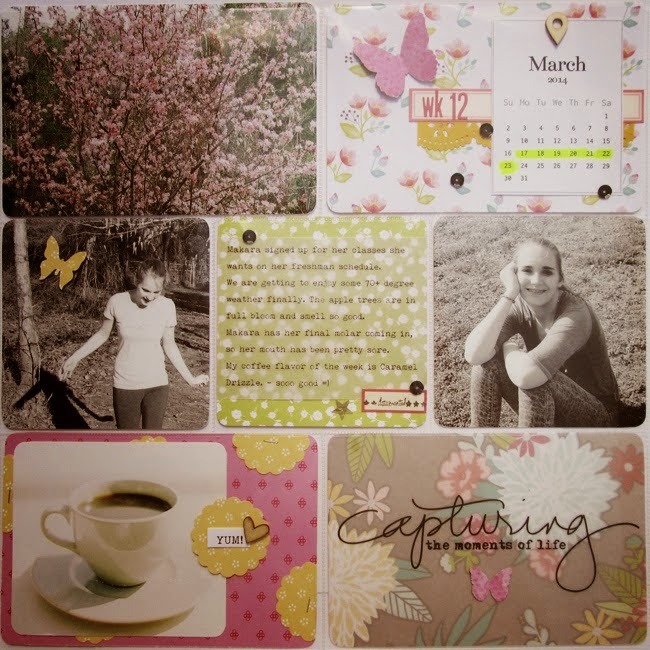 Life in Details Challenge Blog: April Winner! Michelle please email us at lifeindetailschallengeblog@gmail.com for information about being our guest designer in June and to receive your badge! Unfortunately, there is no winner for our smash challenge as we did not have anyone play. Our next smash challenge starts May 15th, and we hope to see you play along! Yay that's awesome! Thanks so much ladies! Your page is lovely!! Congrats!!! Smash Challenge: Use a stamp or stencil or both! Some Facebook entries to share! Pocket Style May Challenge: Stitching!